Foothills, montane. Open woodlands, meadows. Summer. Narraguinnep Natural Area, August 11, 2005. 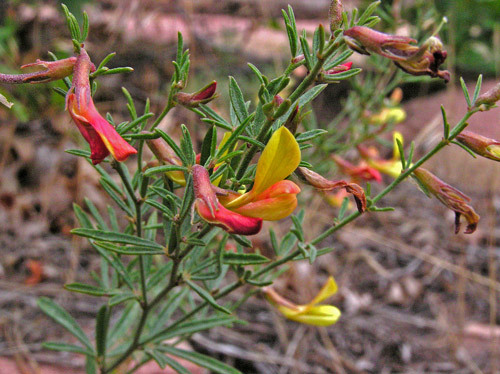 This attractive Pea has leaves alternately swirled around the stem with a spray of 3-5 very narrow leaflets. 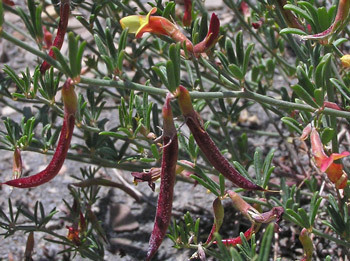 The bright red/orange/yellow flowers arise from the leaf nodes. 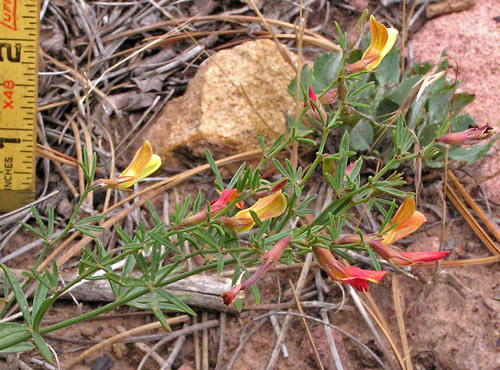 Stems can be upright or reclining. 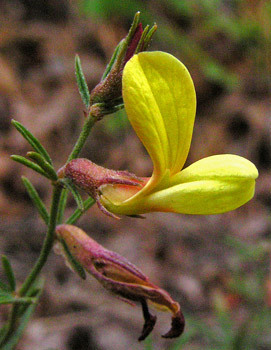 Look for Lotus wrightii in rocky open areas and in openings in Pine and Oak forests. "a name published by C.S. Rafinesque, presumably from the Greek "acme", "a point or edge," and explained by him in his publication in Atlantic Journal 1 (4): 144-145, 1832, as "point hooked" in probable reference to the hook-tipped fruit."